Background: Anyone remember the name Steve Saka? If you don’t recognize the name, you should. He was the president and CEO of Drew Estate and an avid cigar enthusiast. You can likely thank him for a lot of the things that cigar smokers rave about from the DE lines like the Undercrown and Liga Privada. However this marks a turning point for Steve though as it’s the first major release for his new company: Dunbarton Tobacco and Trust. While there is a lot to be excited about with it with a mastermind such as Steve at the helm, there are also some huge shoes to fill in order to reach the same heights that DE has previously. 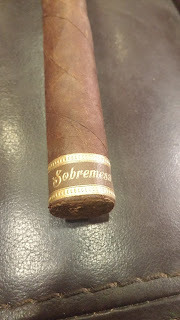 Appearance (0-20): The Sobremesa is housed in an Ecuadorian Rosado wrapper, which has a nice creamy brown complexion to it. 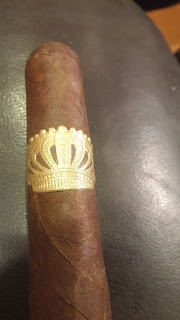 It’s accented by a golden crown on the top and a foot band that contains the cigar name. Both have brown backdrops, though I don’t think that was the best choice for visibility purposes. If I didn’t know this was a Steve Saka cigar, I likely would not have snagged it from the counter… but after taking a quick look you can tell the stick is solid, with no visible blemishes or issues. Construction (0-20): The silky outer wrapper feels good to the touch, and a quick squeeze gives a nod to a firm construction. Taking a look at the foot and you can see it looks pretty tightly wrapped. Nearly no debris was shed on the cut, and the initial draw has the perfect resistance. Post lighting the resistance stayed pretty spot on. The burn was nearly straight throughout, though I wouldn’t say it was “razor sharp”, with the ash holding on for about an inch and a half at a time with no effort at all. Strength (0-20): Medium to full is where they have this one tabbed, and it definitely drops into that range perfectly with only the smallest of deviance. Flavor (0-20): Two words: Pepper blast. Boom. Heavy pepper will greet you to begin on this with a backdrop that you may consider earthy. There are some hints of cedar but much of the stick is overpowered by the pepper, which drowns out any other subtle flavors that may be there. Somewhere close to the midpoint the pepper recedes back enough to bring in some nice bitter coffee flavors and something a bit creamy. The problem is the pepper doesn’t stay in the back seat for long – after another inch or so it comes back with a fury and resides there through the end. Additional Notes: Provided by the folks at Cigars International. Paired with water. Overall (0-100): The stick being a new offering from Steve Saka meant that I definitely had some big expectations for it. And I wanted to say I really really really wanted to love it. But I didn’t – at least not yet. 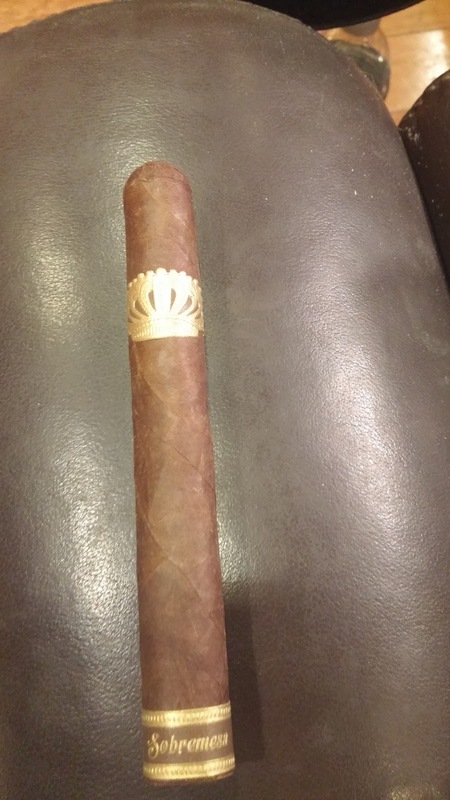 The cigar, on some fronts, meets the expectations that I had. It’s superbly put together. It’s also in the correct strength profile for what it is being sold as. But where it falters right now is the flavor and complexity that one would expect of something from a product with Saka's name attached to it. The pepper is extremely overpowering throughout the smoke and it really feels, for lack of better words, out of balance. Because of this, it lacks complexity too. At $11 for a corona size, that’s not what you want to hear. If you like pepper though, and expect mainly that - the cigar will give it to you in spades. Hence why I couldn't knock this one too much. My personal view is this one may end up being a steal in the future. 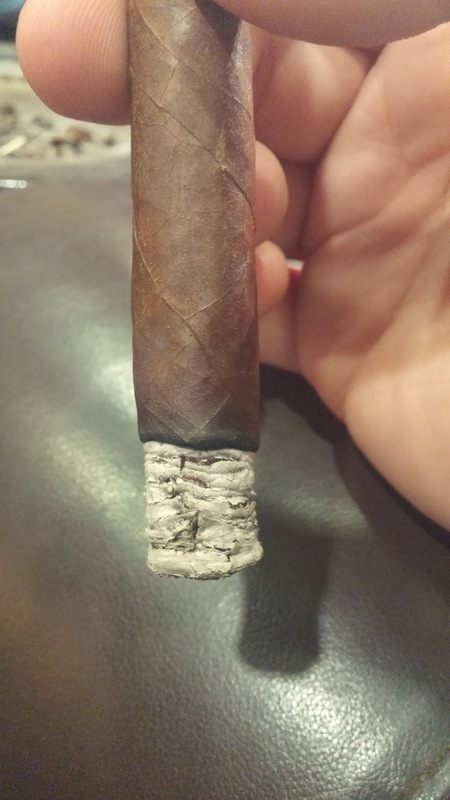 Some of the initial batches of the Liga Privadas were a little on the strong end. Over time two things happened – the cigars were left to rest and they mellowed and the flavors mellowed properly, and the tobacco mixture may have been slightly altered to provide a better flavor profile. That’s exactly what I would expect here. Those pepper flavors will fade back over time and you will end up with a superb cigar. 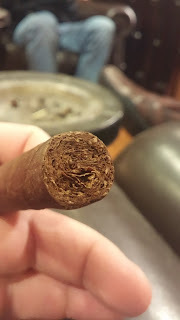 Because really – if the pepper is slightly better regulated, the cigar becomes more balances, the flavor ends up showing differently, and the value too may change. That's why I say I'm not in love with it just yet. But 6 months from now? A year from now? Maybe. Keep an eye on this one.